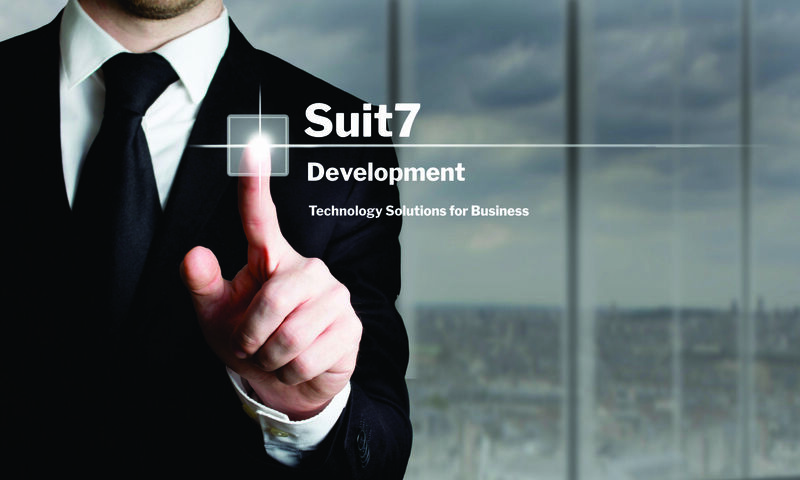 SUIT7 Development is a technology development firm focused on creating custom applications and web design for businesses. Founded in 2013 Suit7 Development is a high tech company with small town values. We are committed to our community and strive to bring our clients simple solutions that work. All our websites are mobile friendly, SEO ready, and built with modern web standards. We can take pictures and use text from your old non mobile site and create a new user friendly mobile and desktop design. That is not all. No website or need a revamping? We offer content writing services that can be included in your new website estimate. All this along with Google compliant design and marketing practices will put you at the top of your market. Your website is a modern extension to your brick and mortar store and should be awesome like your business. Let us make your competition play catch up online. SEO is the new marketing catch phrase and is often tossed around by ad sales people to generate more sales. But what exactly does it mean for your business? Results are the key! We have proven and ethical methods to put your site at the top of the Search Engine Results. We are so confident in our SEO methods we will even offer guaranteed results and challenge any local ad company to do that as well. We offer many levels of SEO and online marketing packages. The best way is to meet and discuss your business goals and budget. We will then put together a custom fit SEO solution for your business. Like all our services we build a custom solution to fit your business, like a fine suit. Contact SUIT7 at Call 417-812-5660.